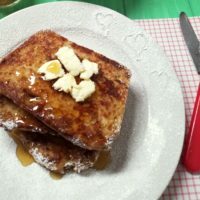 We don’t get to have leisurely breakfasts together very often, but when we do, it’s always a hit. 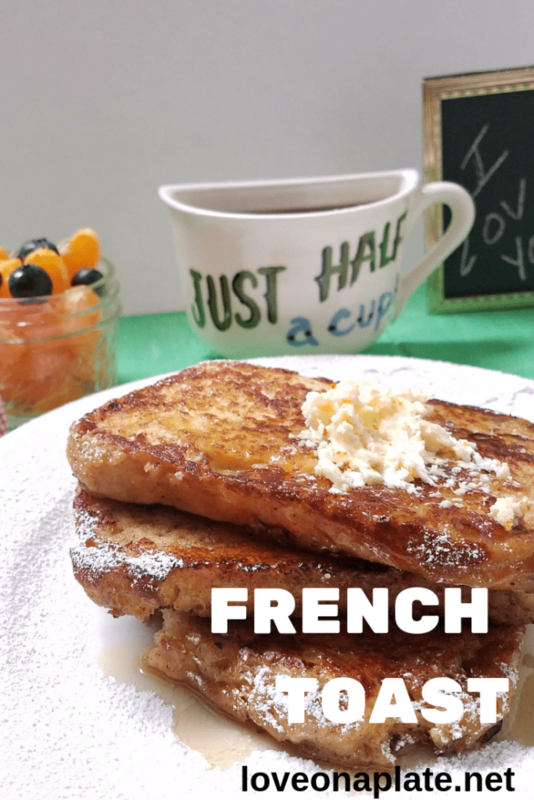 I call it French Toast done right for a few reasons. Most importantly, it is prepaheadable, in fact, it needs to be made a day ahead the bread can soak up all that eggy goodness. 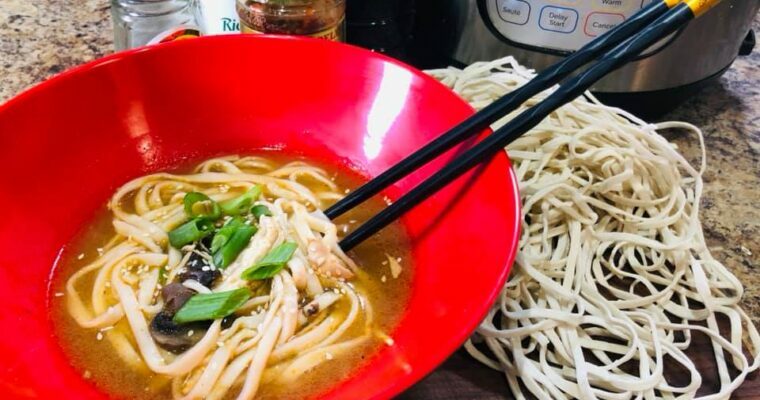 Perfect to add to a weekly meal plan. But that’s only one of many fabulous things about this recipe. 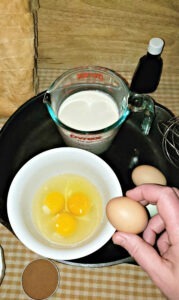 Break eggs into a medium sized bowl. In a 9X13 alternate layers of egg custard and bread. 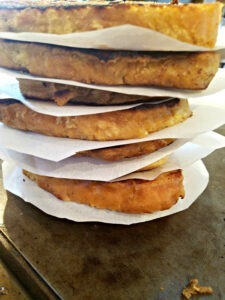 Pan fry slices in butter until golden brown on both sides. 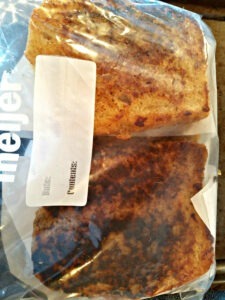 Store cooked and frozen slices of french toast in a ziplock freezer bag. Prepare one day in advance. Makes 12 slices. Perfect with homemade bread! 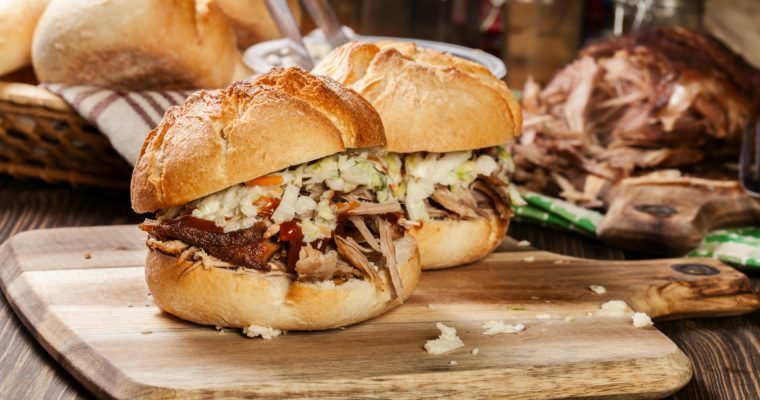 This can be doubled for a large family gathering or to freeze for popping in the toaster. Blend eggs, sugar, and vanilla together. 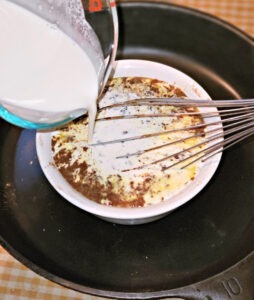 • Combine with heavy cream and mix well. Stir in cinnamon if desired. In a 9x13 dish, pour in enough cream and egg mixture to cover the bottom. 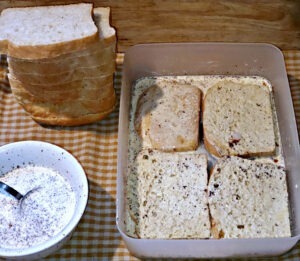 Place slices of bread side by side in a single layer and pour the egg mixture on top of each slice. Add another layer and add pour more egg mixture. 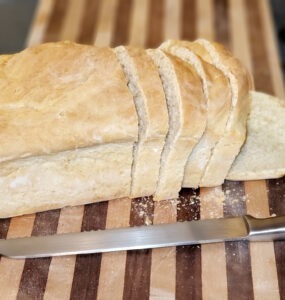 Flip the bread over to make sure all bread slices are wet. Cover the dish and refrigerate overnight to fully absorb the egg mixture. 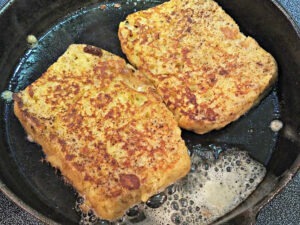 In a large skillet, melt some butter over medium heat and saute the french toast until nicely browned on both sides. 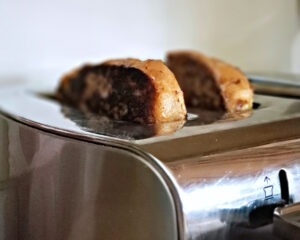 *soaked bread slices are easiest to transfer out of the refrigerated dish with a spatula. Keep warm until time to serve. Whipping Cream Makes 1 ½ cups 1 ½ cups heavy cream • 2 tbsp sugar Instructions: • Beat with electric or hand mixer on high speed until soft peaks form. • Do not over whip and break the cream. • Store in an airtight container in the refrigerator until needed.